Dr. Jeffrey Letourneau earned a Ph.D. in organic chemistry from the University of Wisconsin-Madison where he completed the total synthesis of (+)-Breynolide in the laboratories of Dr. Steven D. Burke. In 1998, Dr. Letourneau began his research career at Pharmacopeia, Inc. where he designed and prepared several large combinatorial screening libraries utilizing Pharmacopeia’s proprietary ECLiPS technology. He also managed many early stage drug discovery programs in collaboration with leading pharmaceutical companies, including Roche, Organon and GlaxoSmithKline, resulting in numerous milestone payments to Pharmacopeia from its corporate partners. He successfully led the chemistry effort for the Vasopressin V3 antagonist program in collaboration with Organon resulting in the rapid advancement from HTS hit to the selection of a clinical candidate (Org52186) for first in human studies. He was the recipient of four project-based accomplishment awards at Pharmacopeia. From 2009 to 2010 Dr. Letourneau was a key contributor to the Jak3 kinase program at Ligand Pharmaceuticals in collaboration with Wyeth. During his time at Ligand he was the recipient of two recognition awards. Dr. Letourneau is co-inventor of over 12 patent applications and 6 issued US patents covering Vasopressin V3 antagonists, SSTR-4 agonists, EP2 antagonists, integrin αvβ3 inhibitors, TNF-α inhibitors, Jak3 kinase inhibitors, and IRAK4 kinase inhibitors. 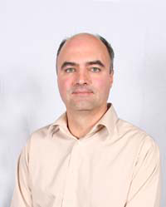 Dr. Letourneau is author on over 10 scientific papers in the areas of drug discovery, combinatorial chemistry and organic synthesis and is a member of the American Chemical Society. Currently Dr. Letourneau is a Senior Team Leader at Venenum.